Preceded in death by her parents Julius and Selma Suhr, her husband Peter, 2 daughters, Glenda Alice and Gwenda Marie, and son Rodney Mark, her sister Viola ( Lorin) Rathe, brother in law, Lorin Rathe and special good friend Elvera Molle. She is survived by son Randall Peter and wife Lora Leigh, Grandchildren Eric (Melissa), Omaha, Jill (Chris) Defayette, Largo, FL, Shannon, Omaha, Kacey, Chicago, one niece Mary Ann (Rathe) and husband John Dalrymple, Stockton CA, Nephews David, Larry and Phil Rathe, and Great Grandchildren Josh, Chelsea, Lilly and Jack Eggink, Makayla and Aiden and Amelia Defayette. Special thanks to Dr. Heather Morgan and staff at Lakeside Hospital and thanks to Sarah Stoakes, Dixie Tonacchio and the staff at Ridgewood Retirement community for their special care. 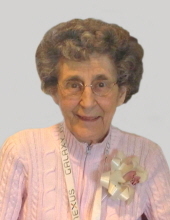 To send flowers or a remembrance gift to the family of Maxine M. (Suhr) Eggink, please visit our Tribute Store. "Email Address" would like to share the life celebration of Maxine M. (Suhr) Eggink. Click on the "link" to go to share a favorite memory or leave a condolence message for the family.